This is a short stories collection from 1998. As I love Fragile Things and especially love how Gaiman reads his own tales — he is quite a voice actor, changing his tones, inflections, accents — all dexterously and effortlessly and all quite fitting the characters, the advantage of having the author (who is a good storyteller) reading the stories. I put up two covers for this book because I found it so strikingly obvious that the UK edition and the US edition attempt to appeal to different readers. The UK edition has the back of a man in robe holding a gleaming dagger while we are stared at by a beautifully young woman with mysterious patterns overlaying her skin. Even the type choices are different (not to say that in the UK Sedgwick’s name is the selling point while in the U.S. he has to be “explained” as a Printz honor recipient. 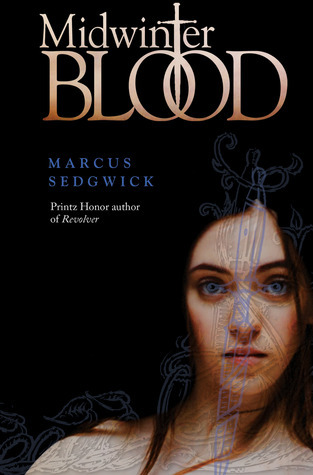 The two design of the title are even different where the UK version Midwinterblood is one word but the US edition the title reads Midwinter Blood. I have to confess that I was not all that impressed or emotionally invested at the beginning of the book. It’s that darn high expectations syndrome again: high and enthusiastic praise and push from Monica and the publisher. Both of them compared the book to other titles I loved — and especially titles that have what I consider “beautiful” writings (such as Laini Taylor’s Lips Touch.) When I didn’t see the sparkling prose that I was expecting, my eagerness dwindled. And, the US ARC proclaims that there are Seven Stories of Love and Passion which I interpreted as each story would be an incredibly passionate romance (again, in the vein of Lips Touch.) Perhaps it’s my close-mindedness, but perhaps this description is indeed misleading. And from hindsight, I could see how each tale IS a story of passionate love, just not all romantic love. I am so glad that I stayed with the book. As it is really clever and original. The seven stories going back in time, each interconnected in some way, and each containing some unsettling elements (which I adore in short stories,) piece together a whole picture that is powerful and affecting. 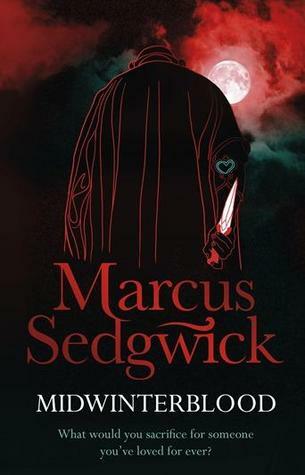 Sedgwick even granted my wish by bringing us all back to the first tale, the first characters, and giving us closure. I’m still left with a couple of questions, though: 1. Are we to interpret the characters ask speaking a Scandinavian language and that everyone of them is from the same linguistic cluster (the Journalist, the Archeologist, and Airman, specifically) They all seem to have no problem communicating with each other, no matter the time periods and whether the encounter is within the community or with outsiders; and 2. I want to know more about the Orchids and their origins and powers and perhaps stories of greed and desire because of their special qualities.